What’s Really Happening Inside Property Marketing. Before you put your development on display, make sure you’ve looked at all the details. 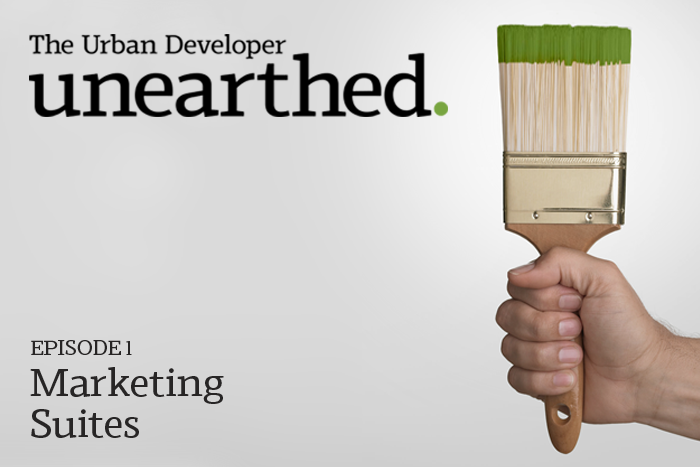 Unearthed takes you inside property marketing. What technologies should I use? How do I find the right team? When should I brief my designer? How much budget should I allocate? We’ve covered the globe, talking to experts from developers to branding consultants, architects to sales agents, and technologists to designers, bringing you the latest thinking and tested wisdom from the world’s best property marketers. Each monthly episode of Unearthed shows you the trends, takes you behind the case studies and offers the inspiration to help you raise the bar on your next marketing project. Unearthed: It’s what’s really happening inside property marketingFor most developments, the marketing suite is where the rubber really meets the road. It’s where buyers and tenants get to feel the goods and kick the skirting boards. Most agents will tell you it’s also the place where the majority of deals are struck and the success (or otherwise) of a development is first felt. So it’s fitting that the first episode of Unearthed starts here, learning from the experts behind some of the most innovative marketing suites and sales units in the industry, from the modular, re-useable pre-fab units of South-East Queensland all the way to the purpose-built multi-level residential ‘Pavilion’ of Battersea Power Station. How important is your marketing suite? “You have to remember that a marketing suite is your first execution, the first time you are delivering something that people can actually walk inside,” says Rachel Jones Senior Marketing Manager at the city-changing Battersea Power Station development in London. So, does that mean you have to allocate the lion’s share of your budget to your marketing suite in order to get it right?Not necessarily. “I think you can spend just as much money doing a poor marketing suite as doing a great one. One of the poorest I’ve seen, when we completed our recent global study tour, was very expensive, but the developer did not consult with the agent,” says Knight Frank’s Erin van Tuil, Director of Sales and Marketing for Melbourne’s latest ultra-premium residential tower, One Queensbridge. 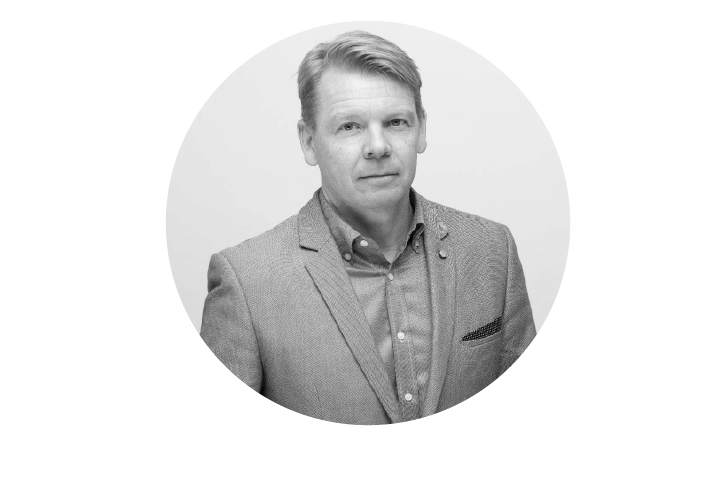 Scott Hammond Director of Wordsearch Australia, the world’s leading property marketing agency network is a firm believer in tailoring an experience to match not just the product, but also the buyer. Time and money are your friends. The lack of them is your inspiration. While we’d all like long lead times and free-flowing budgets, our industry simply doesn’t work that way. Rather than cutting corners, Lachlan Grant, MD of Happy Haus, believes that the constraints of a tight brief can often drive teams to work harder to find innovative solutions. Solving this equation has lead Grant’s team at Happy Haus to carve out a piece of the sales suite market for their modular, pre-fab residential dwellings. 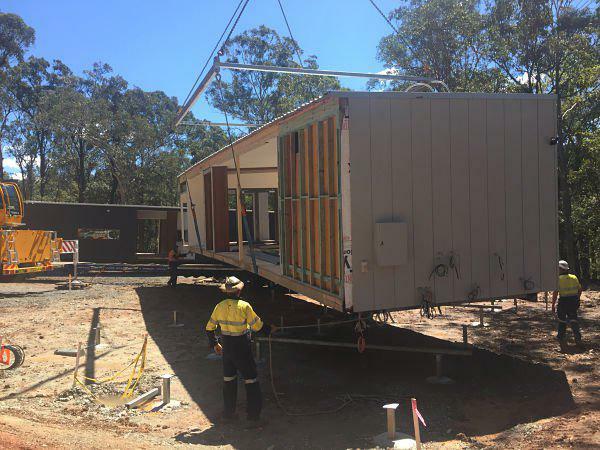 While many people still hold onto the notion that pre-fab means ‘cheap’, Grant believes the efficiencies from modular come in a different form. 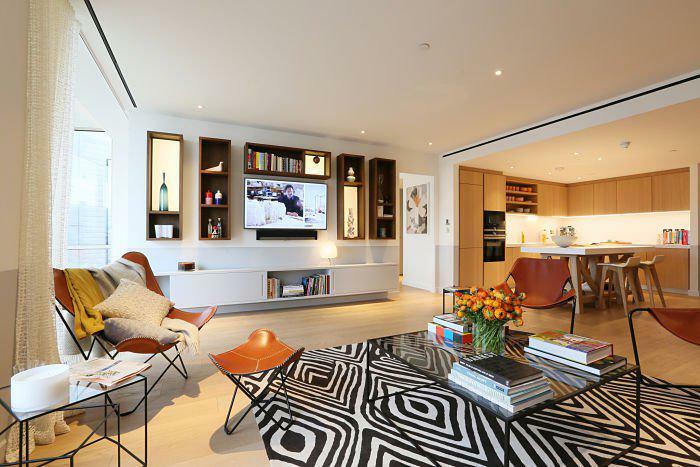 While the idea of furnishing a display apartment in a completed building to then sell in the final stages is an obvious way of reducing cost, the modular approach brings that possibility to off-the-plan sales, albeit in a slightly different way. 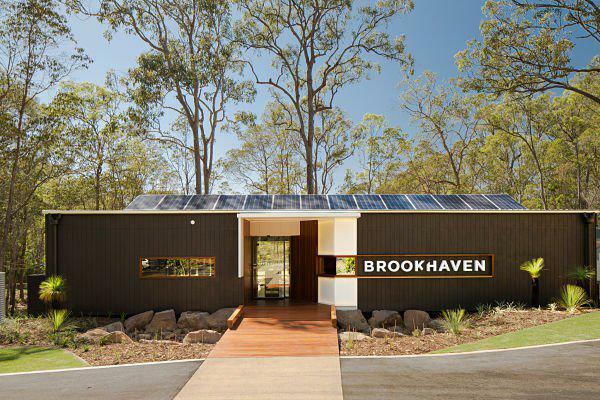 “One of our developments in Brisbane used a recycled modular pod as they display suite. 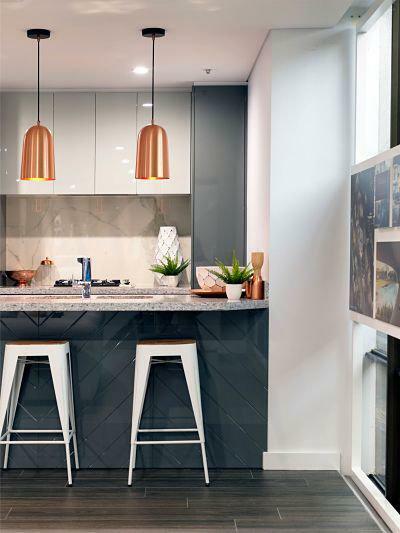 We were able to source it from another development, transport it onto our site and complete the fit-out there,” says Adam Di Marco, of Di Marco Group, a Brisbane-based property development company. Or maybe you don’t need a marketing suite at all. Before you start planning you marketing suite, plan your marketing strategy – you may find your audience are happy to make purchasing decisions from a ‘virtual marketing suite’. After finding success with the ‘recycled pod’ approach, Di Marco then went even leaner. 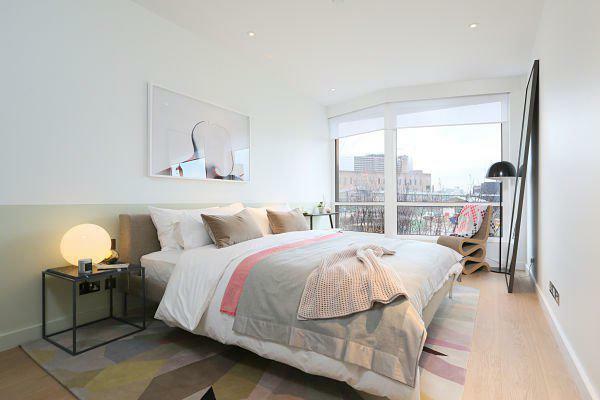 For relatively sophisticated investors, a comprehensive suite of renders helped them interpret the plans, allowing them to assess the potential of the development. When you need to take things to the next level. Another skill the modern property marketer needs to master is the ability to collaborate. Interestingly, we uncovered a similar story at the modular end of the market. Understanding the financial outcome was a common theme amongst all of our Unearthed experts, with many using it as a ‘North Star’ to guide the design process and help the entire team make smarter decisions. 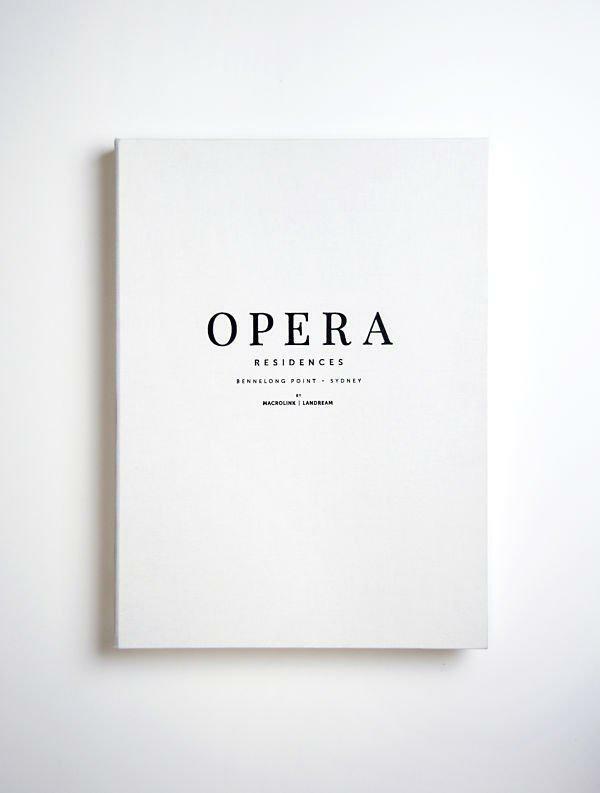 In the case of Battersea Power Station, Jones keeps a close eye on the inventory and uses that insight to modify the approach to the marketing suite. In a scheme lucky enough to have two ‘starchitects’ on board for the residential product, the marketing team still had to make smart choices about what the suite would represent. 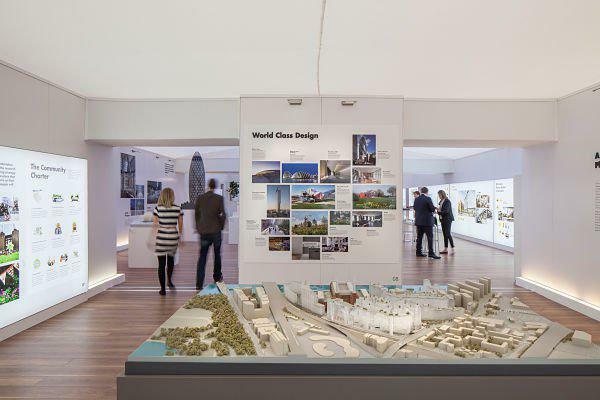 A continual focus on customer insights led Jones’ team and the UK Sales Director to a further focus on Frank Gehry and his work. Pushing the right buttons – when is the right time to introduce technology? In the physical and analogue world of marketing suites, there’s no hotter topic right now than technology, particularly of the virtual variety. 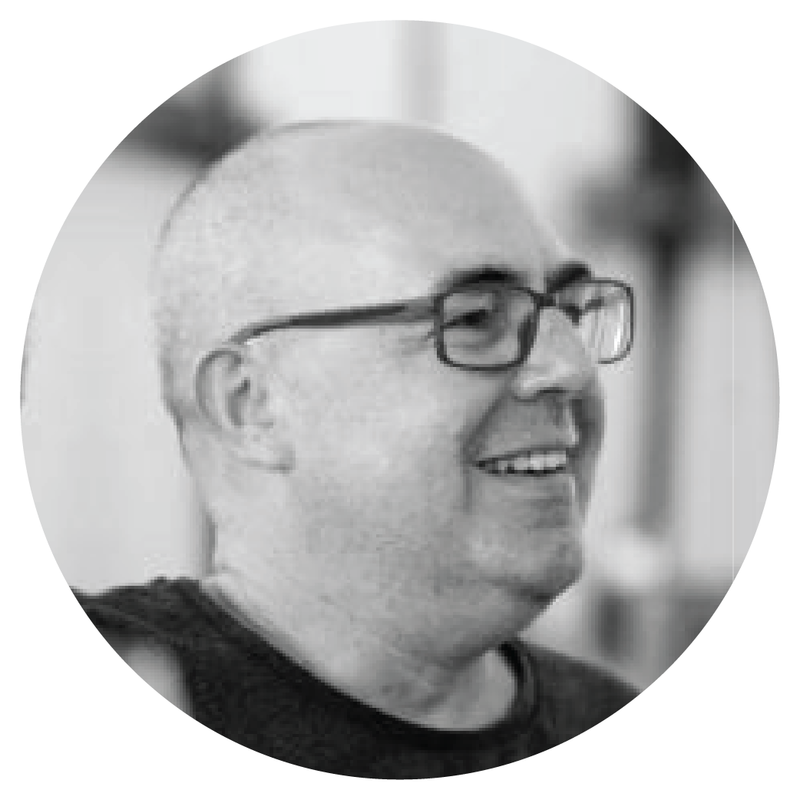 If you’re looking for a simple, definitive answer as to whether you should invest in cutting edge visualisation tech for your next project, you won’t find it amongst our panel of experts. It’s a complex opportunity that requires an investment in strategic thinking before diving in. For a better understanding of the role of strategy in property marketing, stay tuned for Ep 3 of Unearthed, due mid April. “We get asked about technology all the time. People want to know what’s the latest thing that you’ve seen and what’s the next best thing, but you have to start with your objective. Technology, just like everything else, is a case by case situation,” says The Property Agency’s Iwanicki. It’s not all bad news for tech. The recent acquisition of virtual 3D company Floored Inc by CBRE global indicates the shift towards using technology to augment the sales experience may be a trend rather than a fad, but look a little deeper and you’ll see the ‘horses for courses’ advice still holds true. 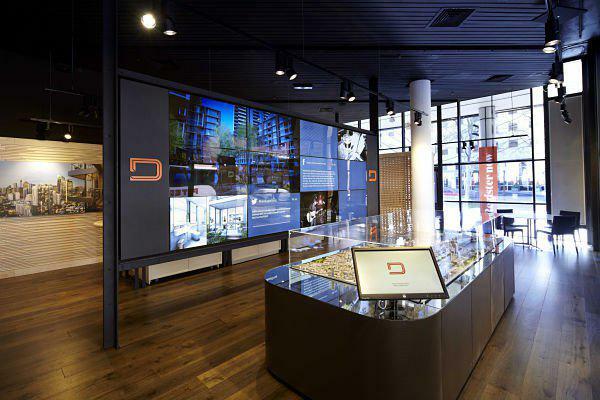 “We’ve really used this 3D experience a lot more on the commercial side than the residential team have to date,” says Jones of Battersea’s use of visualisation technology. Here’s where a deep understanding of your audience can help you select the appropriate technology: work out what’s important to decision-makers, then select the tool that best demonstrates that aspect. Innovation in marketing suite design comes in forms other than just tech, says Hammond. It’s important to remember that not all the technology needs to be in the suite. The trend towards research and data-driven targeting - already widespread in many international markets - is part of the reason van Tuil prefers being part of a global advisory firm like Knight Frank. For a deeper look into Digital, data, social and CRM in property, stay tuned for Ep 2 of Unearthed, due mid March. So are we heading ‘back to the future’ to a world of paper collateral? Yes. And no. Our experts didn’t hesitate to nominate a few aspects of display suite marketing they believe are due for an overhaul. Fundamentally, if something has been done a certain way for a long time, you might be looking at an opportunity to create a real point of difference. “I find that the sales tracks are very repetitive. It seems that lots of sales displays are very similar in terms of the sequence, whereby you start macro and you end micro, which isn’t necessarily a bad thing”, says Di Marco. Grant from Happy Haus also cautions that popular trends aren’t always worth following. In an increasingly competitive market driven by more economic uncertainty, it seems everyone is looking for the ‘silver bullet’ to provide the competitive edge. According to Knight Frank’s van Tuil, these are the conditions that can lead some developers in the wrong direction. Download the full complimentary 'How To Guide' copy now. .
is Australia’s largest and fastest-growing online community for development professionals. Their daily updates are read across the industry and their live events and panel discussions are highly sought-after. The Unearthed Series is the first of an expanding rage of resources for development professionals, published by The Urban Developer and developed in collaboration with Wordsearch Australia. are the world’s leading network of property marketing specialists, with consultants, strategists, designers and managers in eight offices around the world.